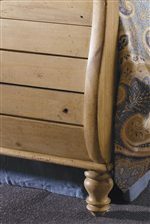 This item features wood on wood drawer guides for smooth, reliable drawer function. A tradition in hand-crafted furniture, the wood on wood guides provide for heirloom-quality style and function. Drawers are further braced with a tilt-proof clip so that even with a strong pull, drawers remain in the item, and not on the floor. Compliment your bed with this three drawer nightstand. Its physical features include ball-and-ring feet, simple round knobs that match the existing pine finish, and an overhanging table top. Placed next to your bed, this nightstand is perfect for holding reading lamps and storing clothing and books with it's three drawers. The Homecoming Nightstand with Three Drawers by Kincaid Furniture at AHFA in the area. Product availability may vary. Contact us for the most current availability on this product. Handles & Hardware Casegoods with a vintage maple finish will come with two sets of hardware including a wood knob and metal knob. Casegoods of vintage pine finish have simple wood knobs for door and drawer knobs. Casegoods of vintage walnut vary from antique metal handles and round wood knobs from item to item. 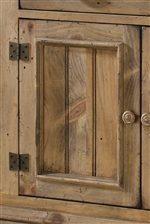 Casegoods of vintage oak finish have rustic, dark metal hardware. Case Detail Solid wood construction to provide premium quality and durability for shaped legs. Solid wood chairs are crafted using a glue and screw technique across a finger-jointed corner, adding strength to the chair while minimizing flex across the joint. Storage Three drawers, adjustable levelers. Drawer Suspension A wood-on-wood non-tilting, dovetailed drawer guide is used in the installation of all Kincaid drawers. Description: Top Solid wood tops with no veneer. Fully floating tops, end panels,bed panels, etc. 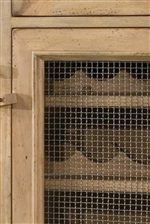 are incorporated into every product from this collection to allow for normal expansion and contraction of the humidity changes in your home. Case Construction Kincaid's case construction features mortise and tenon joinery, a time-proven method of assembling two parts at a 90 degree angle. The Homecoming collection is a great option if you are looking for Cottage furniture in the area. Browse other items in the Homecoming collection from AHFA in the area.